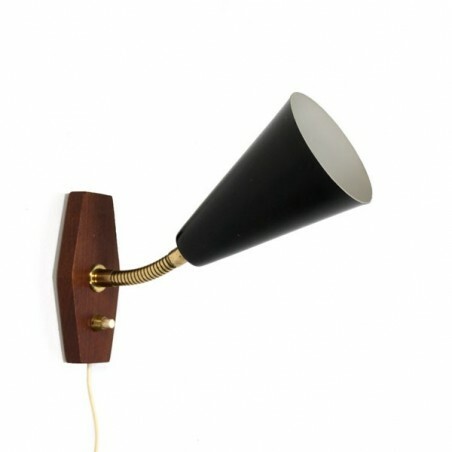 Vintage wall lamp from the fifties. 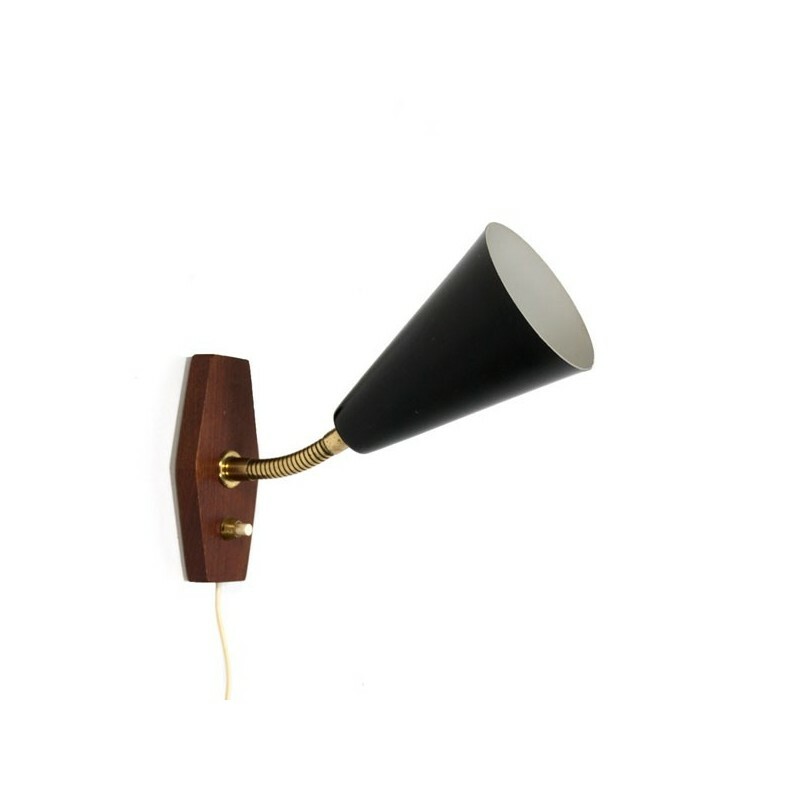 The lamp has a brass-colored flexible arm and a black metal cap. The condition is good considering the age, see the detail photos. The dimension is 22.5 cm long and the cap is 8 cm in diameter.